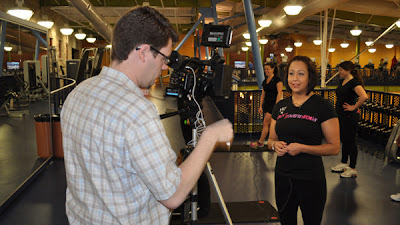 Channel 8, WFFA Instant Live 8 paid us a visit this morning, featuring our very own, Delia Romero, Fitness Guest Service Specialist at Wylie Recreation Center in the video story, Keeping your New Year's Resolution. Delia (affectionately referred to as a cross between kindergarten teacher and drill sergeant by center guests) gave a basic rundown of exercises from our beautiful fitness floor. Check it out and share this exciting Wylie Recreation Center news with your friends!